Fawaz Gruosi of de Grisogono threw an elaborate party for the 20th Anniversary of the brand, held on the estate of his good friends Sara & Ugo Colombo. Guests received a special surprise gift as they left, including a mysterious key. 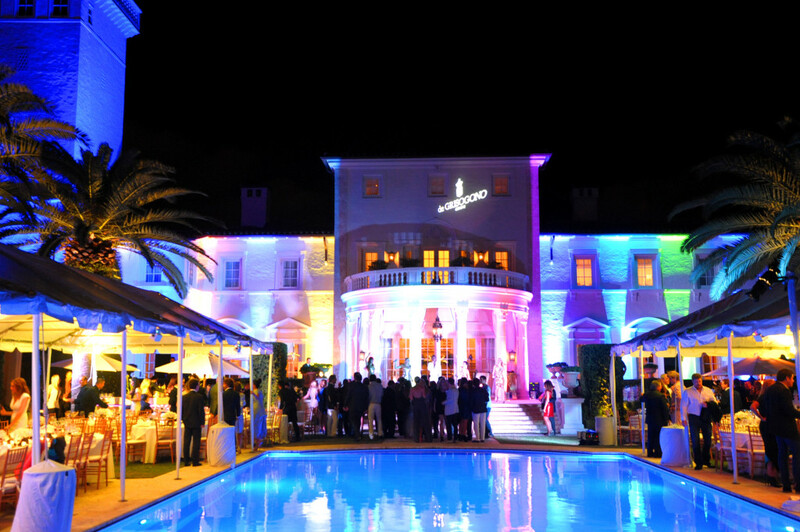 For one lucky party-goer, the key will reward them with a piece of de Grisogono jewelry, picked by Mr. Gruosi himself. To see if the lucky key is theirs, party-goers need only take a trip to visit the new Bal Harbour boutique by de Grisogono’s to test their key! This entry was posted in News and tagged The Collection Miami, Ugo Colombo, Ugo Colombo Miami, Ugo Colombo The Collection on October 31, 2013 by Ugo Colombo. Ugo Colombo and other top Miami real estate experts met at the first “Haute Living Real Estate Summit,” held at the W South Beach Hotel. Developer Ugo Colombo, President of CMC group and one of the first developers to start working in Miami, gave a quick synopsis of the past Miami development phases. In the 80’s, it was houses; 90’s saw waterfront condos; 2000 was the boom, and now 90% of Miami is developed on the waterfront. For new opportunities, developers need to look at interior pockets of land. The Summit also discussed how Miami needs to expand the activation of green spaces, as well as address parking issues. Broker Jorge Uribe said, “Miami has reinvented itself. We are no longer just about sun, but now have an art scene, gastronomic movement, schooling and astronomically improved quality of buildings.” Miami seems to be a location that attracts people from around the world to come and own real estate, and is viewed as a safe haven for many seeking a place to live the ultimate lifestyle. This entry was posted in News and tagged Haute Living, Haute Living Real Estate Summit, Miami real estate, Real Estate Summit, Ugo Colombo on October 4, 2013 by Ugo Colombo.